“For the first time, violent extremists are being charged under New York City’s 2009 clinic safety ordinance, which prohibits people from following and harassing others within 15 feet of a reproductive health clinic. This is a tremendous victory for New Yorkers, as well as for those forced to travel to New York for abortions because of onerous restrictions in their home states. “In the face of unprecedented federal attacks on reproductive rights, the Attorney General’s case sets a powerful standard of how local and state partners can work together to guarantee women’s safety and ensure access to the full range of reproductive health care services. The National Institute applauds the Attorney General’s office for prioritizing women’s safety by enforcing the law. 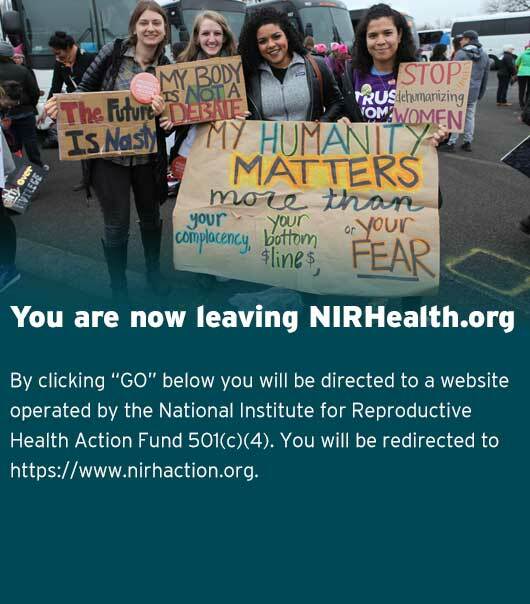 “The National Institute for Reproductive Health has worked to advance clinic access in New York City — and in cities and states across the country — for nearly a decade, including working with the New York City Council to get the 2009 clinic access law enacted, training clinic escorts, documenting patient harassment, and educating law enforcement on the legal rights of patients.